Music never stops. Just because 2012 was one of the wildest, busiest years in recent memory doesn't mean that there's any plans to let up in 2013. In fact, this year might be even crazier. Instead of guest verses, it appears as if artists like Drake and Andre 3000 will finally follow-up with proper albums. Eminem and Kanye West have kept us waiting for their next solo projects, but based on comments from collaborators it looks like we'll finally get new LPs from them, too. And that's just a starting point. Kid Cudi, Grimes, Danny Brown, and many more of the biggest musicians in our world all have albums on the way, and in most cases, the possibility of their releases are more solid than tentative. It's only the second day of the year, but that's not to early to get pumped for all of the great music we can expect over the next 12 months. 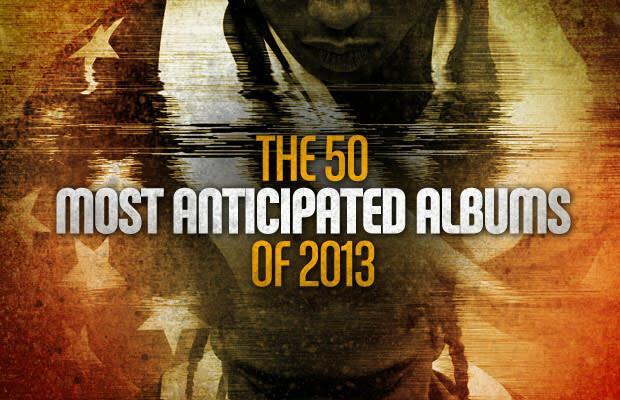 These are the 50 Most Anticipated Albums of 2013. Mark your calendars.